What if our penchant for skepticism and rational thinking is what allows an alien invasion to begin its preparations right here on Earth? That is essentially how the exploding green eggs (Alien) make it safely to Earth after an expedition to Mars. This globe trotting story of a government agent’s attempt to investigate an alien egg invasion starts with an abandoned freighter drifts into the New York harbor. Inside are boxes of eruptive eggs. When combusting, projectile goo makes any being’s chest explode it comes in contact with (Alien again and a little bit of a precursor to John Carpenter’s The Thing although Cozzi cites a Quatermass influence just as Carpenter does). Contamination is one of those films where you can see the points of reference the filmmaker had when conceiving it. And the disc contextualizes the film within the trend of Italian knock-offs. Even seeing an interview with the film’s director shows that to some extant he thought of creating a film in terms of what other films he was going to take elements from. So does the film match the quality of it’s precursors? Or does it take Alien purely as its starting point and make something transcendent and able to stand on its own? For me there two aspects which I loved: the gore and the score. Bodies burst in operatic Peckinpah slow motion and the music was done by genre film music giants Goblin. In 2013 I was able to see Goblin live and the pretty much played a greatest hits selection of their film scores. I would have loved to have heard some of this music live. It’s got a great feel which Cozzi must have recognized as he uses it to great effect as many moments as he could find. The rest of the movie I enjoyed; it’s brisk and constantly moving, and the few derivative elements of Alien were not distracting if even noticeable. Part of the fact is that the film takes place on Earth, so the Alien aspects are few and didn’t necessarily instantly register on my viewing. The best thing on this disc though is the audio commentary for the film done by Fangoria editor Chris Alexander. He makes no claim to deliver a scholarly commentary but instead declares it will be a fan commentary. He does have lots of great stories about the people from the film he got to know thanks to his line of work/his passion but it is actually in the film’s favor that we have an ultra fan talking about the film. “We have to suspend a lot of disbelief to love Contamination,“ certainly indicates the fan aspects but not all of the entertainment value. He is constantly throwing out gems like, “Realism is for the bourgeois.” His love for the film definitely transcends through the commentary and made me like the movie more as a whole rather than just for a select few parts. So while the film might not have cracked any of my personal top 10 lists, this commentary is a new favorite. I was fortunate enough to have the opportunity to watch the film projected onto a movie theater size screen and fans of the film should be extremely happy with how good the movie looks. The scene where a group of men first discover one of the glowing eggs on the ship looks stunning as the film goes into slow motion when one of the men picks the egg up. It is a moment reminiscent of 2001: A Space Oddysey in terms of the mystifying effect a reduced pacing can have on the viewer. It’s a brilliant moment in a film that otherwise reserves slow motion for when bodies are bursting. We seem to think of HD preservation for only high profile titles, even though each film should have the ability to be seen just as they were when first filmed and projected. It was great seeing Contamination projected onto a big screen and for people who are not existing fans of the film watch it again with Chris Alexander’s commentary. For sci-fi fans this is worth checking out if you enjoy it when influences get mashed together. If you’re looking for video nasties in HD on the other hand, check out Island of Death first. 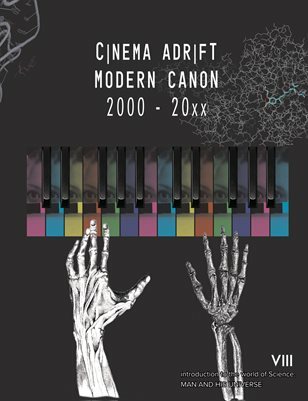 Jason Suzuki is the co-editor of Cinema Adrift.